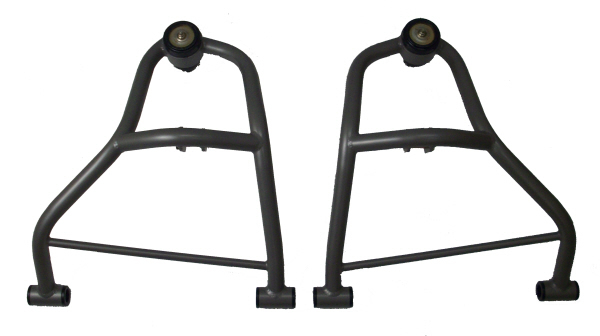 Light weight control arms (6lbs ea.). Tig welded chrome moly 1” x .095” wall. Comes complete with powder coating, hardware and ball joints. Crossbar with tabs welded to mount bottom of shock. 5 degrees of positive caster built in upper & lower combinations. You will save 36lbs with an upper & lower set replacement over your stock control arms. DOES NOT COME WITH MOUNTING HARDWARE.